The patented plastic tip can protect plastic wrap and extend the service life of the shoelace. It is a great way to promote your brand as well. 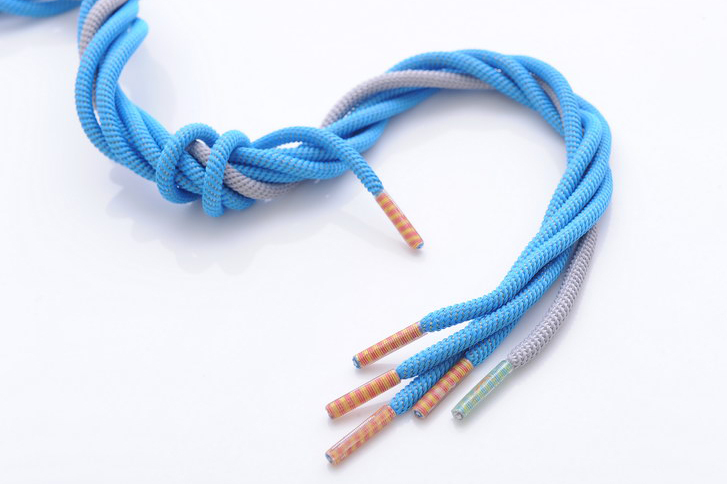 The patented metal tip can protect plastic wrap and extend the service life of the shoelace. The tips can be made with a hollow-carved logo to give the logo or image more definition. These newer style tip was launched in 2008. Any logo can be embedded in the transparent tip. The PET tips are made from 100% recycled plastic bottles to reduce waste and the burden on the environment. The PLA tips are made from cornstarch, 99.9% of which can decompose in half year in the right environment with compost, soil, adequate moisture, and microorganisms. 50% of the PCL tips can decompose in the right environment in half year, while the other 50% will decompose under the effect of heat. Bamboo tips are made of bamboo and wood, and may break under excessive pressure. Any logo can be printed on the transparent plastic tips to enhance brand image, or colors added to make them look more appealing. Paiho has developed geometric tips and 1 9/16″ (40mm) long tips, providing various interesting choices of transparent tips. Currently available in diamond and hexagonal shapes; other styles are under development. Made of special material imported from Italy, each glaze tip has gone through elaborate and time-consuming lathe work. 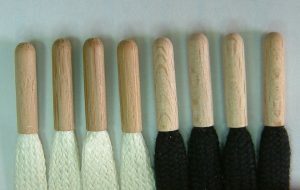 After molding and polishing, each tip has splendid mixed colors and unique marble grain, which make them distinct from regular plastic tips. Made of high quality material, each tip has unique colors and pattern. The TPU and TPR soft tips have great hand feeling. Suitable for garments such as hat ribbons.